Do you feel you don’t have enough time to do everything in your business? Are you struggling to take care of your clients and make the most of opportunities that come your way? Wouldn’t it be great to have someone who knows your business, anticipates your needs and takes the day to day tasks off your plate without even having to be asked? Such angels do exist, but the expense of hiring them directly as employees can be outside the reach of many businesses. Consider instead having an experienced team at the heart of your business for a fraction of the cost! Are you keeping on top of your administration? Are you doing all the behind the scenes jobs that keep your business healthy and running smoothly? Do you enjoy your admin days and feel they are the best use of your your time? If the answer to even one of those questions is “no” then Coastal VAs can help. We are experienced and efficient administrators and we bring a wealth of best practices to your business. We manage your work in our secure online office space and we can quickly and seamlessly become an integral part of your business. Email marketing is still the most successful form of online marketing despite the rising number of emails we all receive. Are you doing email marketing for your business? Are you doing it well and consistently? We can help with all aspects of email marketing from setting up your account and templates to planning your campaigns and writing your content. Email marketing works, so don’t miss out on this extremely efficient way to reach your customers. If you would like to find out how Coastal VAs can help your business, please do get in touch with us at office@coastalvas.com. 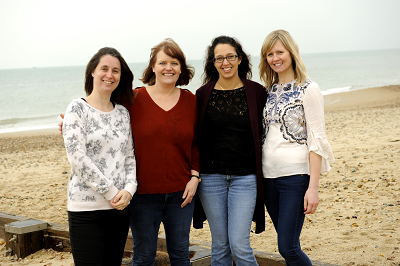 We are always happy to meet up for a chat either by phone, online (Skype) or in person in the Bournemouth area. No fee and no commitment.